What Book Should Every Kid Read? 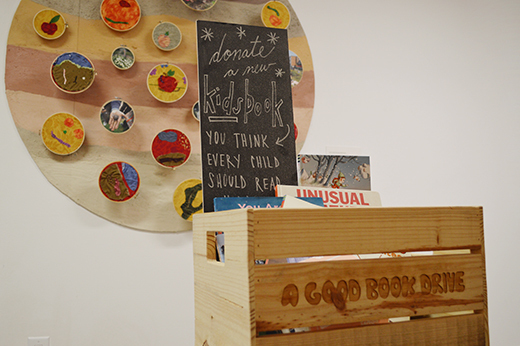 Donate a must-read story to A Good Book Drive! This annual book drive brings stories to a new generation of readers, and supports kids in need of new books. Throughout the month of November, stop by the ArtStarts Gallery to drop off a new copy of your fave read. You'll have the chance to personalize it with a bookplate (available here) so you can share why that book is so special. Books donated this year will be given to the children's literacy program, One to One, which provides one-to-one tutoring to children in elementary schools during regular school hours. The ArtStarts Gallery is located in downtown Vancouver, at 808 Richards Street, at the corner of Robson Street. We're open Wednesday through Sunday, from 10am to 4:30pm. We hope to see you soon!